Here is the second set of cards I cased from Chat. Only thing I changed on my cards is the color and DSP. 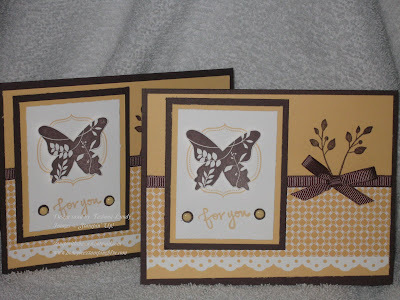 The Eyelet border punch just adds so much to this card. Don't you think? I love it.